Turkey is the beacon of Thanksgiving and let’s face it, you will probably be consuming some this Thursday. Why not try something new? We’re not asking you to give up turkey this year, but giving you five different ways of cooking it. 1. Trash Can Turkey – Don’t judge before you try. 2. Deep Fried – What’s more American than this? 3. Turducken – Stuffing inside a duck inside a chicken inside a turkey? Yes. 4. Crock Pot – Keeps the moisture in and the headache out. 5. On the Grill – Because BBQ turkey just sounds good. before and after shots, it seemed like a success. The 5K benefits the National Multiple Sclerosis Society and travels to major cities across the U.S. Runners are challenged to 19 obstacles throughout the course and with names like Triple Pits, Crash Landing, and Skid Mark… who wouldn’t want to try? The race is followed by the MuckFestival with music, games, fuel, and hydration. Will you be the next Mucker? 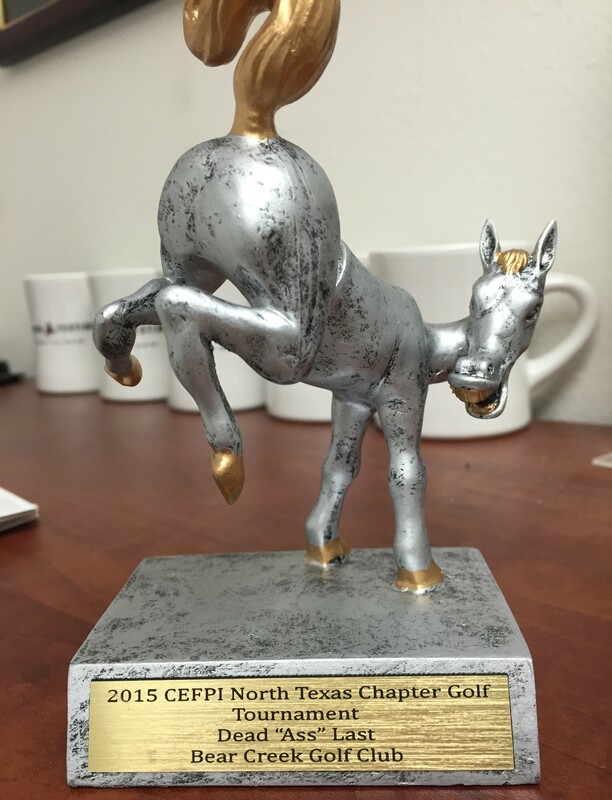 Jacob said it best, “We played for fun, not to win… obviously!” Jacob Wadlington, John Moreland, and John Hero from MYCON made up the 3-man team at the 2015 CEFPI North Texas Chapter Annual Golf Tournament, Oct 28. 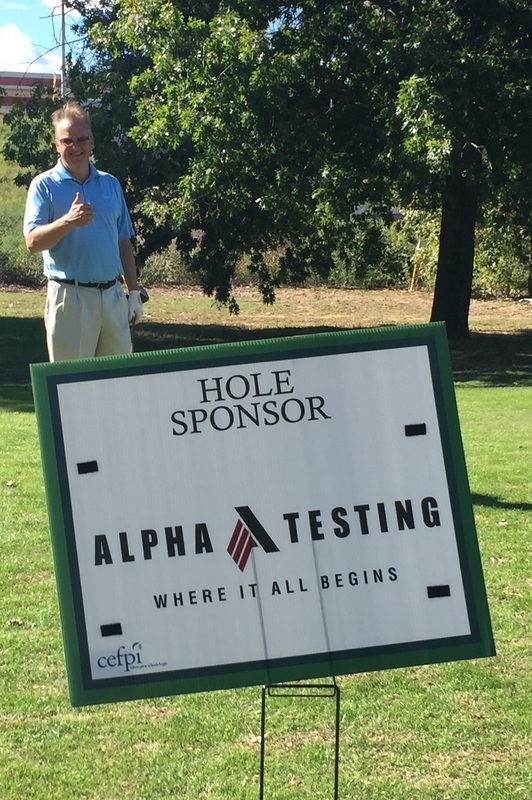 Alpha was a hole sponsor for the scramble and have sponsored the tournament for many years now (see our 2013 round blog post). While the A-Team might have been the “tail end” of the jokes, their loss did not go to waste. The tournament benefits the North Texas Chapter Impact Awards and Scholarship Programs, even if a double (or triple) digit number is on the scorecard. And who wouldn’t want a table trophy like that anyways? A bit about CEFPI: CEFPI recently rebranded to The Association for Learning Environments. Difference name, same goal. That goal is to increase the effectiveness of educational facilities to improve student learning environments. And they have been doing just that since 1921. Looking for great food across the state of Texas? Look no further. Texas Highways polled readers for their favorite Texas comfort food and the results are in. Click on your favorite food category below to see the winning restaurants. Don’t see you favorite on the lists? Tell us your picks in the comment section below.